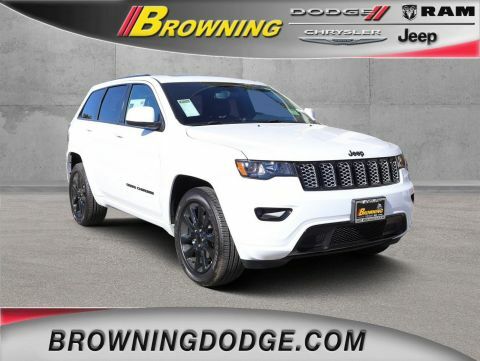 Scores 26 Highway MPG and 19 City MPG! 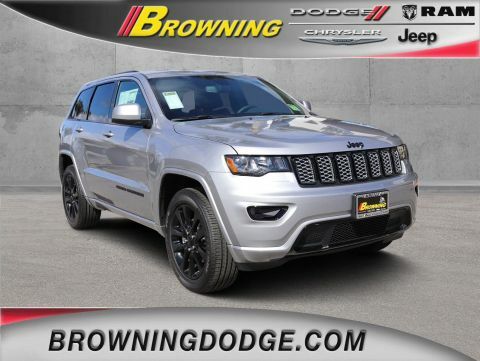 This Jeep Grand Cherokee boasts a Regular Unleaded V-6 3.6 L/220 engine powering this Automatic transmission. TRANSMISSION: 8-SPEED AUTOMATIC (850RE) (STD), TRAILER TOW GROUP IV -inc: Rear Load Leveling Suspension, Normal Duty Suspension, 7 & 4 Pin Wiring Harness, Delete Rear Tow Hook, Class IV Receiver Hitch, Steel Spare Wheel, 180 Amp Alternator, Heavy Duty Engine Cooling, Full Size Spare Tire (TBB), QUICK ORDER PACKAGE 2BZ ALTITUDE -inc: Engine: 3.6L V6 24V VVT UPG I w/ESS, Transmission: 8-Speed Automatic (850RE), SiriusXM Traffic Plus, Jeep Black Gloss Badging, Dark Headlamp Bezel Finish, Body Color Fascia, Power 4-Way Driver Lumbar Adjust, Power 8-Way Driver/Manual Passenger Seat, Dark Day Light Opening Moldings, SiriusXM Travel Link, Body Color Claddings, 5-Year SiriusXM Travel Link Service, 5-Year SiriusXM Traffic Service, Rear Accent/Body Color Fascia, Gloss Black Rear Fascia Applique, USB Host Flip, 4G LTE Wi-Fi Hot Spot, 1-YR SiriusXM Guardian Trial, HD Radio, Integrated Center Stack Radio, SiriusXM Satellite Radio, GPS Antenna Input, GPS Navigation, 8.4 Touchscreen Display, Body Color Shark Fin Antenna, Altitude IV Package, Front Accent/Body Color Fascia, Rear Fascia Black MIC Step Pad, Security & Convenience Group, Heated Front Seats, Universal Garage Door Opener, 115V Auxiliary Power Outlet, Remote Start System, Power Liftgate, Heated Steering Wheel, Security Alarm, Si. 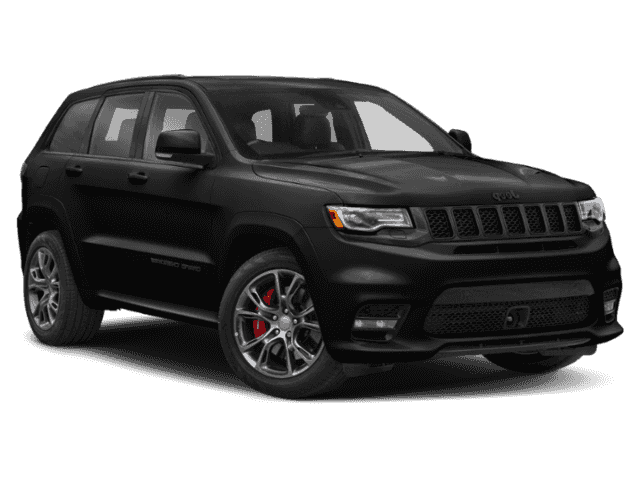 *This Jeep Grand Cherokee Comes Equipped with These Options *MANUFACTURER'S STATEMENT OF ORIGIN, FULL SIZE SPARE TIRE, ENGINE: 3.6L V6 24V VVT UPG I W/ESS (STD), DIAMOND BLACK CRYSTAL PEARLCOAT, Wheels: 20 x 8.0 Gloss Black Aluminum, Valet Function, Trip Computer, Transmission: 8-Speed Automatic (850RE), Transmission w/Driver Selectable Mode and Sequential Shift Control, Tracker System. 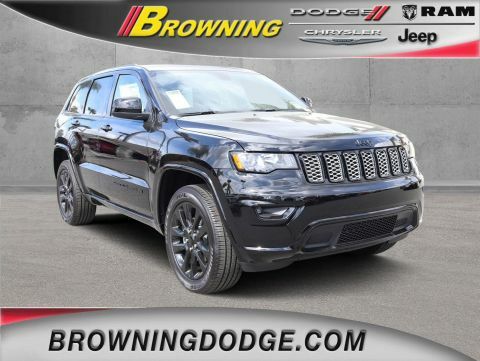 * Visit Us Today *A short visit to Browning Dodge Chrysler Jeep located at 1983 Hamner Ave, Norco, CA 92860 can get you a dependable Grand Cherokee today!